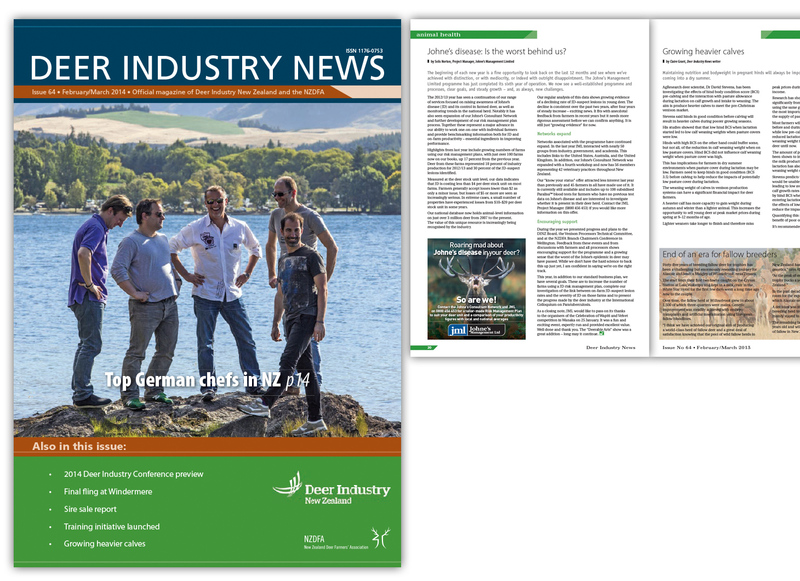 Deer Industry News is New Zealand’s only dedicated deer farming magazine. Words & Pictures is responsible for editing, content, design, production and distribution of this bi-monthly. We contribute a high proportion of the content, including photographs.